Our body is over 60 percent of water. So It is necessary to take plenty of water to keep our body functions work properly. According to a report of CBS, Upto 75% of Americans may Suffer From Chronic Dehydration. Dehydration has a negative impact on the body, we feel sluggish and fatigued the entire day. This condition leads to high blood pressure and cholesterol level. Dry eyes, muscle cramps, headaches, dark urine, fever, dry mouth etc are some of the very known symptoms of dehydration. If you are taking the recommended amount of water, you may prevent the dehydration. But the reality is that most of the people fail to achieve their daily water intake recommendation. You have to drink enough water to meet your body’s daily hydration requirements. Do you know exactly how many glasses to drink? Many Health authorities generally suggest drinking more than 2.7-liter water for women and 3.7-liter water for men in the US. Generally, there is also a rule called 8×8 rule which equals about 2+ liters or half a gallon. This figure makes it easy to remember. If you also fail to achieve your daily water needs, you should start eating water. 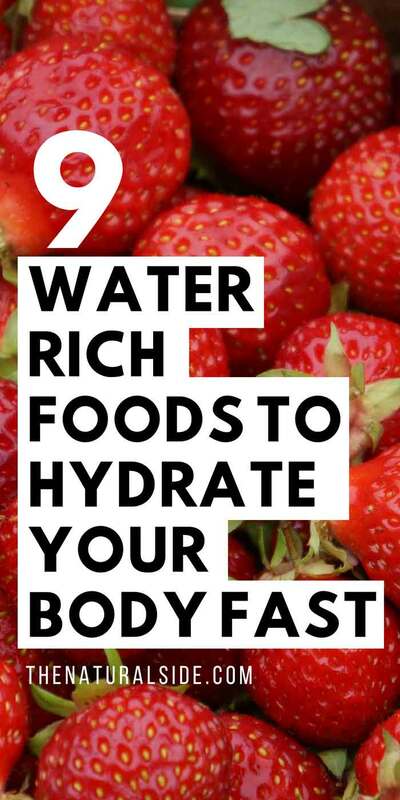 Just consume some water-rich foods throughout the day. So you don’t fall short of your daily water requirement. These Water rich foods are also good to add more nutritional value to your diet and as well as the best way to rehydrate quickly. Try to incorporate some of these water foods this summer to stay cool and hydrated. Cucumber has the highest amount of water content in comparison to any other natural solid food. Each of the 100 pounds of cucumbers is composed of 99% water, by weight. Cucumber has vitamin A, Vitamin C, Folic Acid and other fibers, shows their power whenever you use it as the aid of the dark circle, puffy eyes, and other skin problems. You can use the slices of this water-fruit in the salads, dips, soups, and the pickles. This Cruciferous Vegetable are packed with antioxidants, flavonoids and essential minerals like folate, magnesium, calcium and vitamins, C, A, K, B6, B2. Celery is a lite vegetable which improves digestion, reduces heart risk and showing some anti-inflammatory properties also. Always buy fresh celeries to enjoy your soups, stews, casseroles. Red and fresh tomatoes enhance the color and taste of the food. Tomatoes have a high content of water, especially in cute small ones. Tomatoes have an impressive amount of Vitamin A, C and Vitamin K, Vitamin B6, folate and thiamin as well. 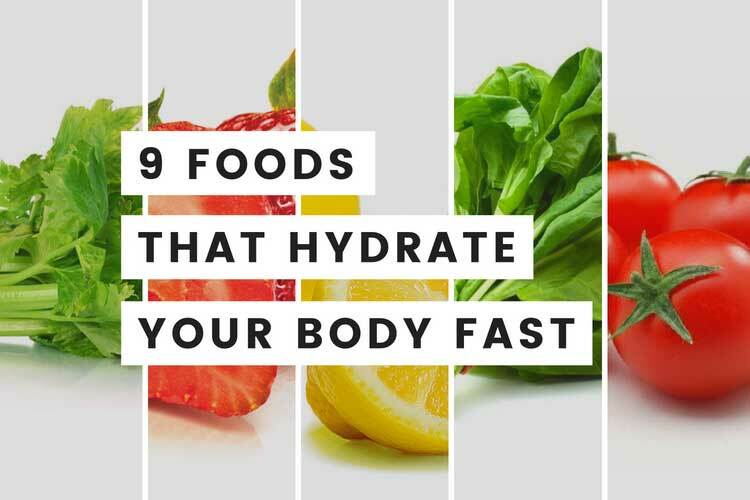 Watermelon is the best way to rehydrate your body quickly. It is the richest source of Lycopene, an oxidant that fights from Cancer and Heart Diseases which is mostly available in Red and Orange Fruits and Vegetables. 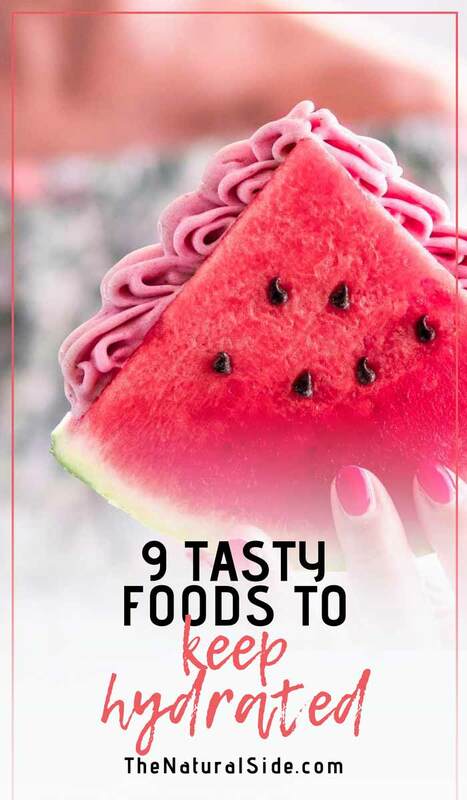 Enjoy the endless creative possibilities of recipes around the watermelon. Spinach is loaded with lutein, fiber, potassium, vitamin E, and antioxidants. These healthy green leaves are low in fat and even lower in cholesterol, good for healthy bones, brain and nerve function and prevent heart attack and Anaemia. Raw spinach leaves in your sandwich/salad may give you an option to eat more hydrated nutritional breakfast. Same as cruciferous vegetables… berries are also an excellent source of hydrating properties. Blackberries have 88.2% water content, while strawberries are a step ahead with about 91% water content. These small red berries are rich in vitamin C, B, folate, and antioxidants. Strawberries are best fit to include in salads to baked dishes. Or what’s about a low calorie chilled strawberry smoothie? Lemon, being a rich source of vitamin C, is a well-known member of the citrus fruit family. It has a slightly better amount of hydrating content than any other members of a citrus family. Lemon helps to boost immunity, indigestion, fights against stroke and dehydration. This citrus fruit works best when it coupled with water. In short, Lemonade drink! Cantaloupe is pretty similar to the Watermelon. Just one cup of Cantaloupe provides more than 100 percent of the daily recommended vitamin A and C. That’s why it is also good to hydrate your skin. Milk is made up of 85 to 95 percent water. And many studies found that Skim Milk is far better than any other sports drinks and even water to rehydrate your body. Thanks to its nutrients profile which contains a high amount of protein, calcium, and carbohydrates. So instead of sports drinks, a glass of chocolate milk would be a perfect selection after the workout to replenish sodium lost in sweat. Try to intake much water daily and whenever you go outside never forget to take your water bottle or some of these water-rich foods.